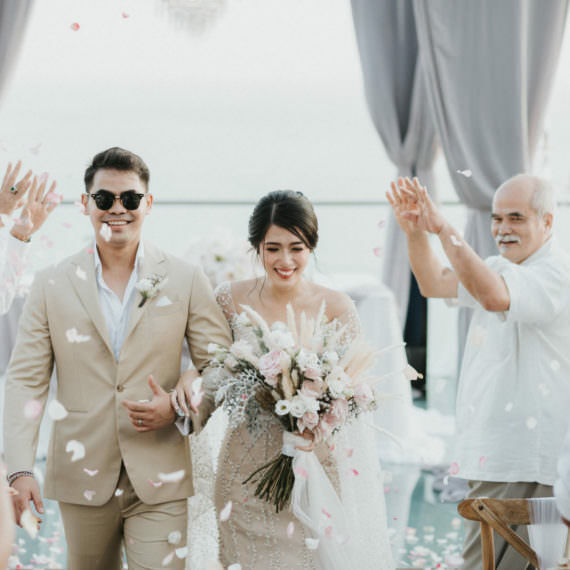 Are you planning to get married in Bali or going to get married in Bali and looking for a professional Wedding Organizer in Bali? 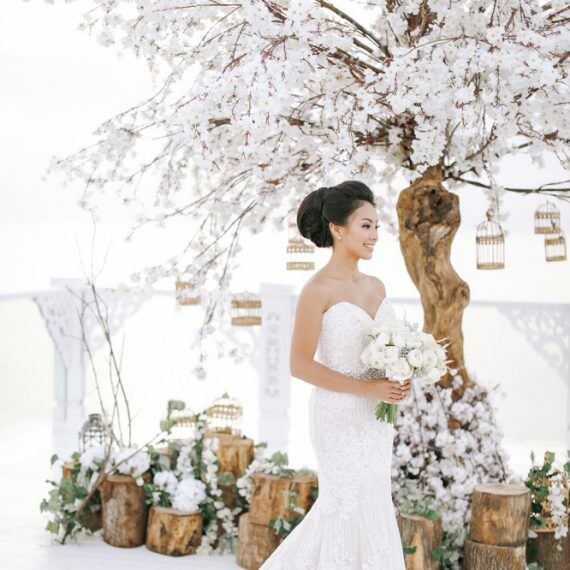 Bali Wedding Specialist is the wedding organizer for your very special day. 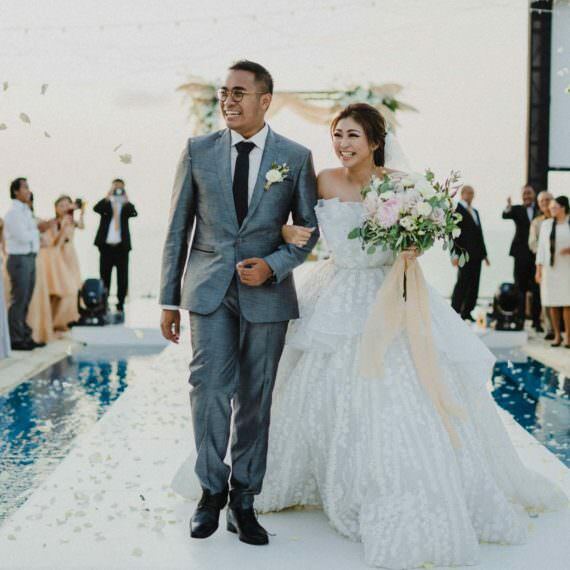 Bali Wedding Specialist is the specialist in the creation of inspirational, unforgettable, and unique wedding celebration in Bali. Our motto is “We don’t only organize, but we create beyond of client’s expectations”. We want the special day of every client becomes the true reflection of who they are. 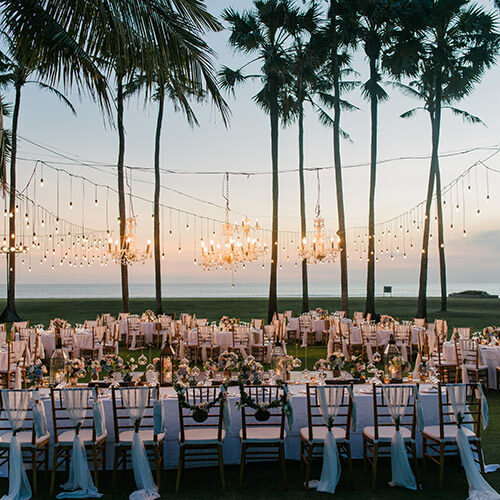 Our vision is to help our clients to make their Bali wedding dream comes true. 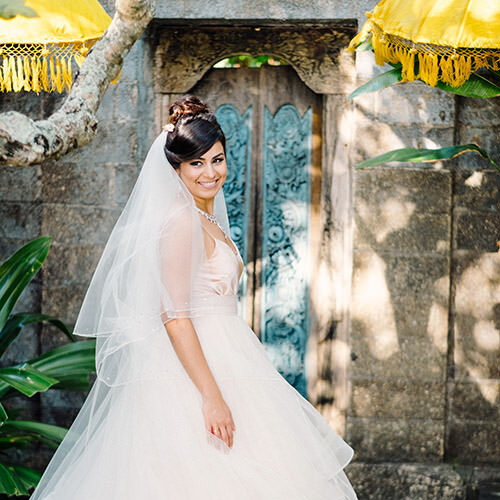 Therefore, our Bali Wedding Specialist team works with some of the best suppliers in the wedding industry and together we will ensure that all of your expectations are met and delivered to the highest possible standards. 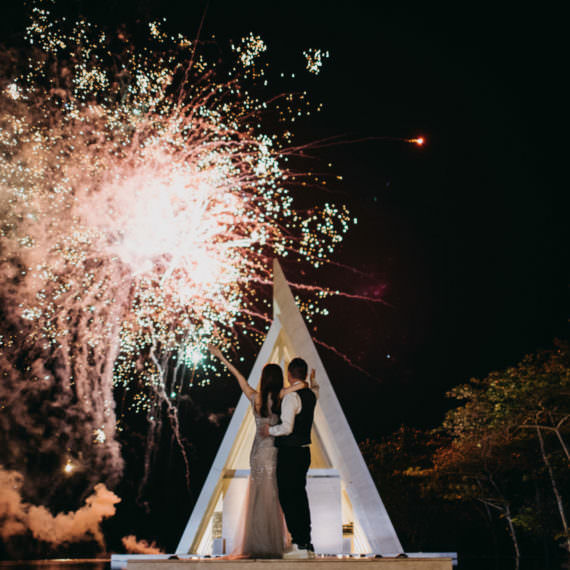 We also constantly seek out new and exciting wedding suppliers to make sure that we can offer our clients something unique and different whether the wedding is a small and intimate or a large and lavish affair. As we believe that every wedding celebration should be filled with joy, laughter, and love; so every client should be free to relax and enjoy the amazing and happy experience of their love journey without the hassle of organizing it all on the special day. It is our mission to ensure that every client and their guests experience this. 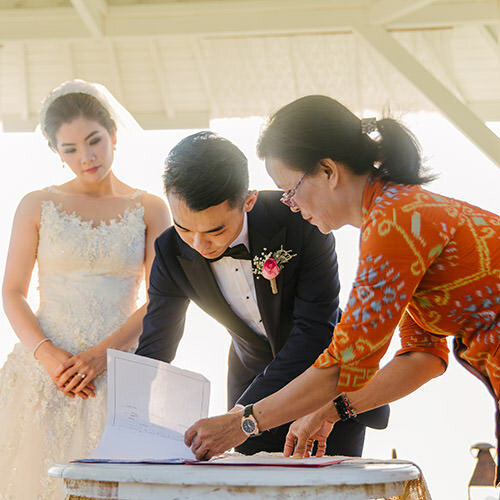 Our Bali Wedding Specialist team works with passion and heart, and responsibly as well to bring the client’s satisfaction. Managed by a dedicated team and professional in this industry, we would love to work with you to create your personalized special wedding and will be in attendance in person from the beginning through to the very end of your function. 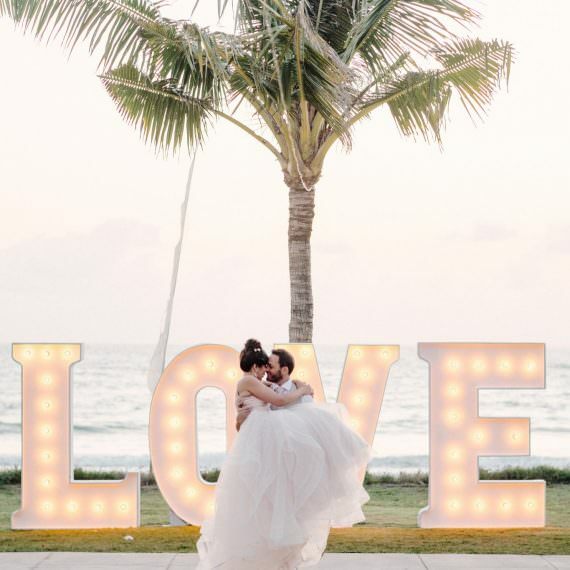 Bali Wedding Specialist is your best wedding organizer in Bali! Dear Paul and team, Please allow Me and Tim to properly say thanks to you and your team ( Bali Wedding Specialist ). It was an enjoyable 17 months of wedding preparation for both of us and now I am kind of missing it. Even thought we always thought that there were imperfections throughtout the day, but we are very delightful to hear from our guests that the event went very well, the rundown, accomodation, food, venue, MC, entertaiment and decoration are GREAT. Hence, we felt no regret at the end. It was you and your team's effort so we could have that good complimentary. Thanks for going extra mile to help us and keeping up with my perfectionist nature. Thanks for helping us to make our dream wedding come true it was beyond our expectation. Good luck Paul. i hope our path will cross again in the future as i will highly recommend Bali Wedding Specialist to all my circles. Hi Paul! It's been a month since our big day and we still couldn't believe that we choose you without shopping around first. 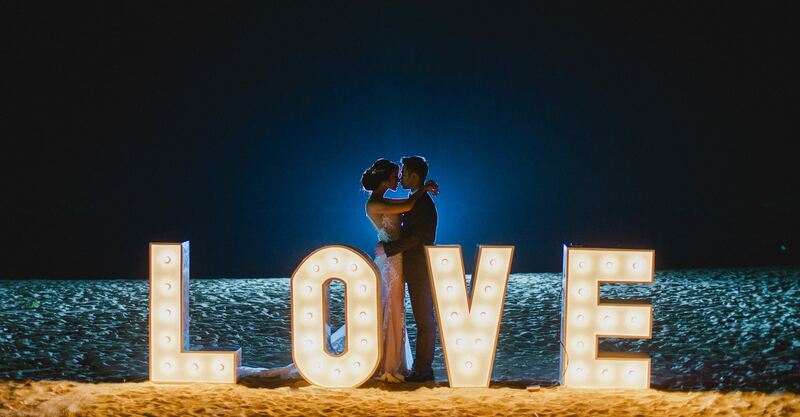 But choosing Bali Wedding Specialist turned out to be one of the best decision we made for our wedding! 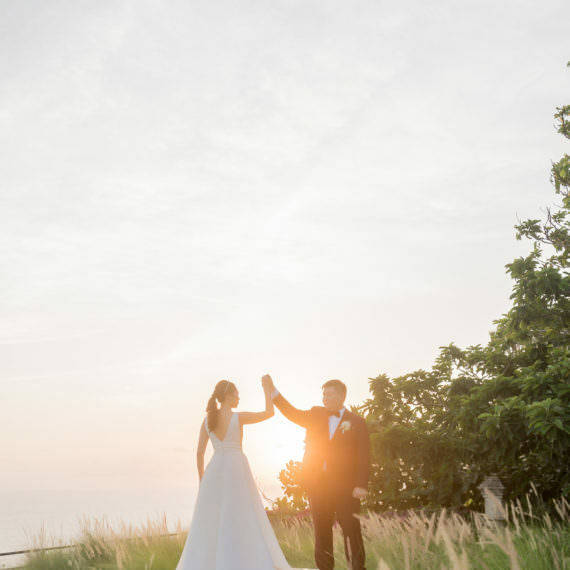 You and your team were everything that we could hope for from a wedding planner. Supportive, calm, organized and most of all understands your clients needs and wishes, are just some of the traits that stands out from you. Jes and I are so happy and as we said many many tims before, we couldn't hope for better wedding held last month and cannot thank you enough for you service! Having " Beyond Expectation " as your motto is very fitting indeed! Thank you so much once again and we will keep in touch when we visit Bali in the future! Hi Mba Sekar, Bisma & Me wanna say thank you so much for your best service. Benar-benar di take care dari persiapan wedding kami sampai hari H. Your team is very quickly and everyone who incharge on the day, they know exactly what they have to do. Both parents happy! once again, thank you Mba Sekar and team, you really made our big day so awesome. We just want to say a big Thank you for the superb coordination and arrangement on our Special Day! 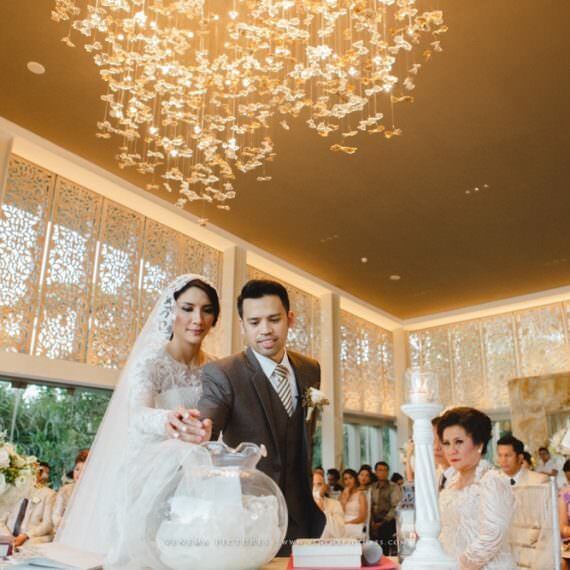 It was indeed on of our most beautiful moment, thanks to all the support Bali Wedding Specialist team. 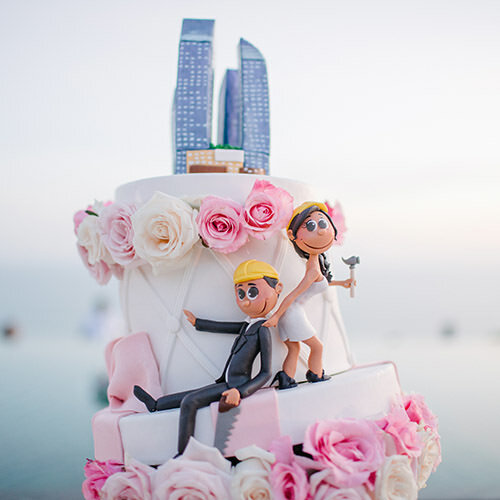 Starting searching for venue, decoration, catering, to all the small little extra favors that we requested to make our wedding day a memorable one. We appreciate the additional surprises given and your management during the day to make sure everything went smooth. I can see all our friends and family left the venue with a big smile and we are still talking about the beautiful wedding today. Thank you Paul and Team for making our dreams come true! Hi Paul, Sorry it took us so long to send you a thank you note. It’s been almost a month since our wedding day, and I just want to say THANK YOU so much for everything you do to make our day a special one. Despite all the challenges and demands from every side, you managed to stay calm and collected from the very beginning to the end, through every ups and downs. Your patience is very admirable! Some things didn’t go according to plan, but many things did. God how many thins you have to juggle behind the scene to make everything go smoothly. Looking back, I always have a big smile on my face. It was snag a beautiful and memorable day. I din’t want it to end haha. One of the sad things about having our wedding to an end is that I won’t be working with you anymore. It’s almost like using a friend, hiks 🙁 Thank you so much again Paul and Team. We couldn’t have done sit without you all. 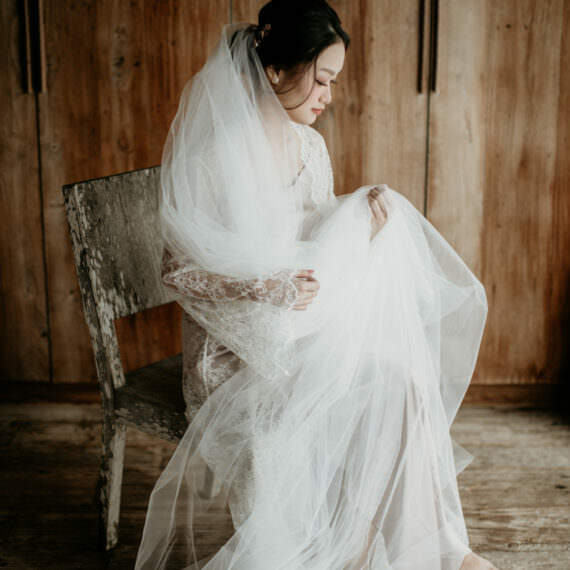 We ensures a very special day filled with talented and unique image makers who partner with you to create your own magic. 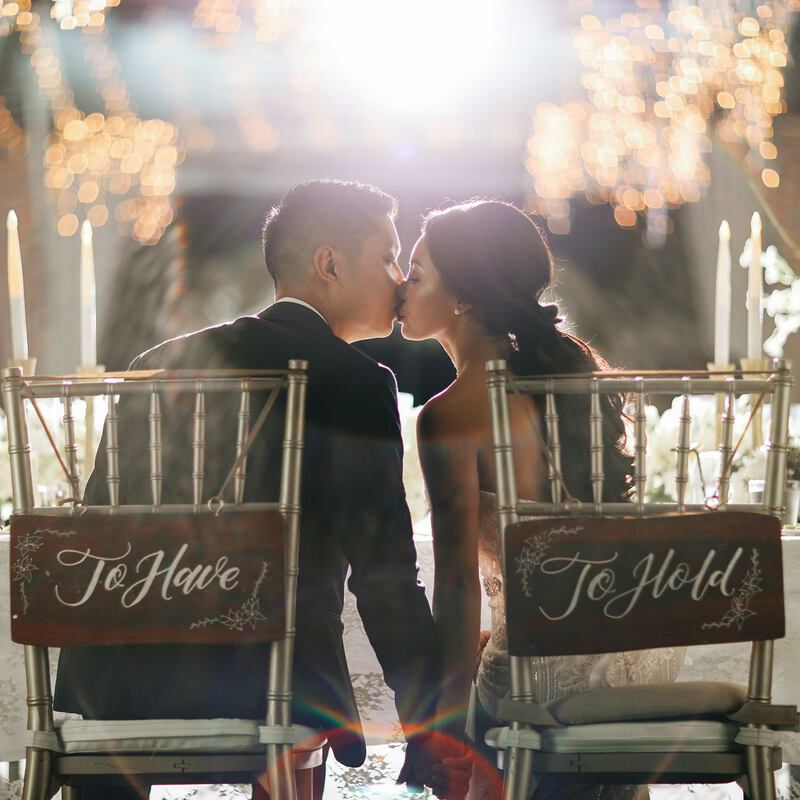 Captured your intimate moments, tear filled smiles, stolen glances by our partner in image makers from photo and video to bring you back to the moment when you see the pictures in the future. We coordinate with caterers, culinary and dessert chefs to create dining experiences. From special Balinese menu to western food with set menu or buffet. We make sure that your guest will satisfied and enjoying the food and bars. We have expanded and enhanced its line of wedding decorations, from beach-themed favors for your wonderful wedding, to all-black and white wedding decorations, centerpiece and favors for your customized wedding theme. 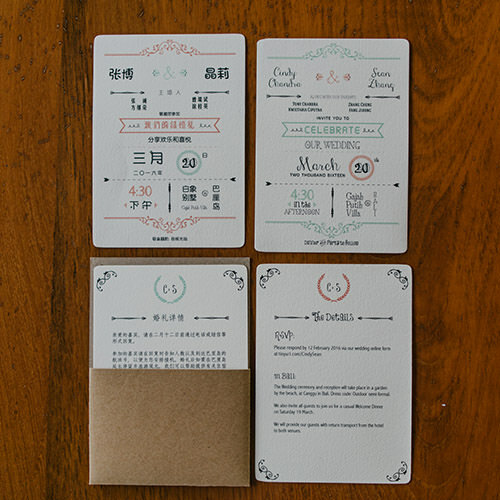 From elegant to simple minimalist, from ceremony to wedding reception. From amazing Balinese kecak dance to superb band will beat your night with wow and dance all nights long. 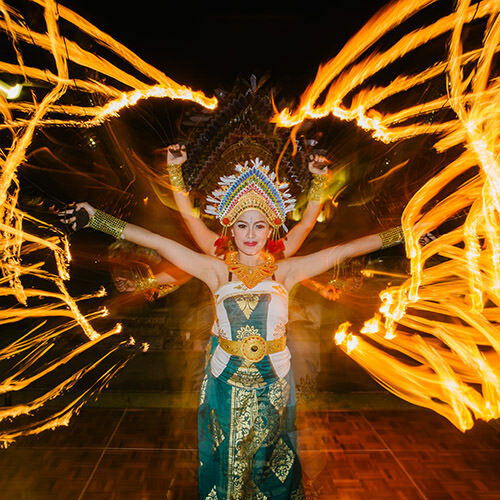 We create a customized fire dance, acoustic, Balinese dance, DJ and any special request for the entertainment. Build a great mood ambience by our entertainment to make your wedding extra ordinary. Tell us your dream wedding and we are going to make it real..
We offer a special services from transport, pick up at airport, tour, hotel booking and special dinner for welcoming guest. 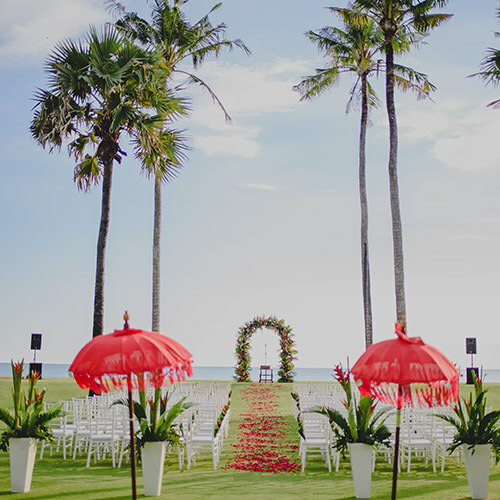 Your legal wedding ceremony in Bali will consist of two parts, first the religious ceremony followed by the civil ceremony. Once completed you will receive two marriage certificates, one from the Priest and the other from the Indonesian Government.